During the start of February 2019, I asked our good friends from Xiaomi Philippines and their PR agency when exactly will be the launch of the much awaited Xiaomi Redmi Note 7 Android smartphone in our country. 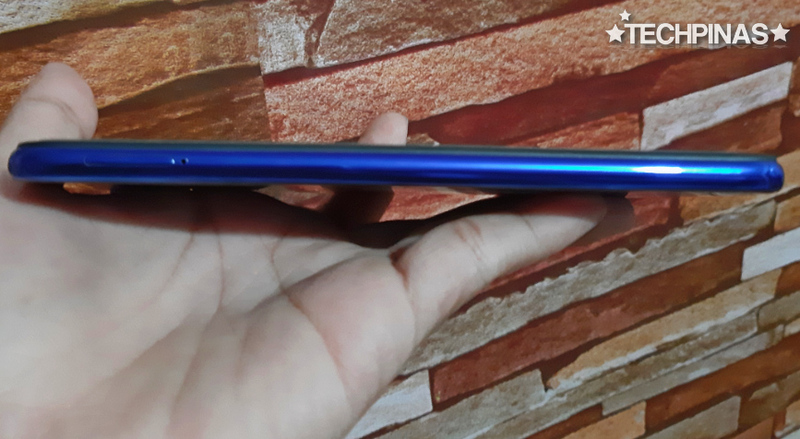 I told them that I've been receiving so many inquiries from my readers about this model and as such, I have a good feeling that the phone will do very well in this market if it will be launched early enough. They said that they are aware of their fans' excitement about this product. However, they can't disclose yet its final release date. Whenever my readers ask me where they should purchase their Xiaomi smartphones, I always recommend official channels or authorized retailers because these outlets offer 1-year parts and service warranty, which you likely won't get from the grey market. However, I do understand Mi Fans who choose to get their handsets from online sellers if only to own certain popular models ahead of the others. I guess it's just totally cool to already have a device before everyone else gets a chance to own one. 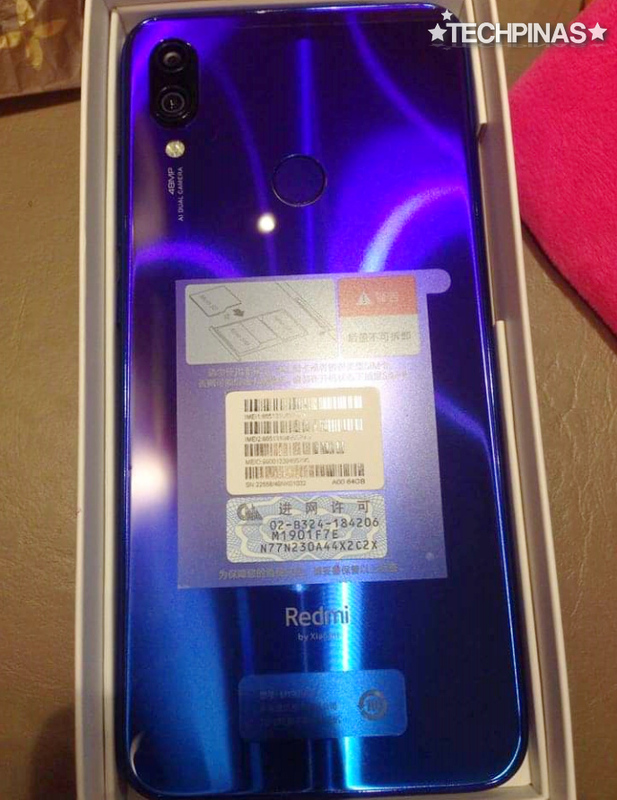 My good friend Anette Mejia, for instance, purchased her Xiaomi Redmi Note 7 from a gadget seller on Facebook -- and when she got her unit, she generously shared these actual unit photos of her new smartphone with me. I told her, "My readers will surely love to see these images too since many of them are also big Xiaomi fans! Super thank you, Anette!" Anette purchased the Blue version of this model, which - as you can see in these photos - actually has a Blue to Purple gradient finish that almost looks iridescent. 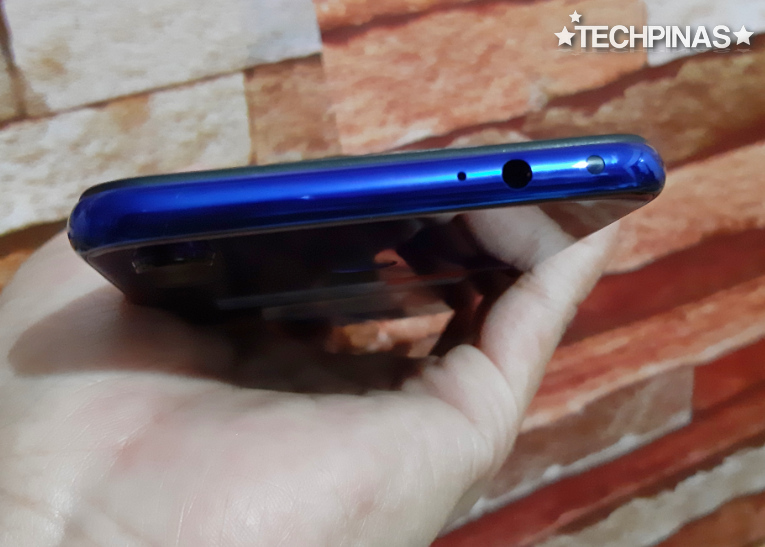 The device sports a sizable 6.3-inch FullHD+ IPS display with tall 19.5:9 aspect ratio and a small waterdrop-shaped notch housing the 13 MegaPixel f/2.0 front-facing selfie shooter. The screen is protected by Corning Gorilla Glass 5 panel, which has high resistance against scratches and dents from day to day use. 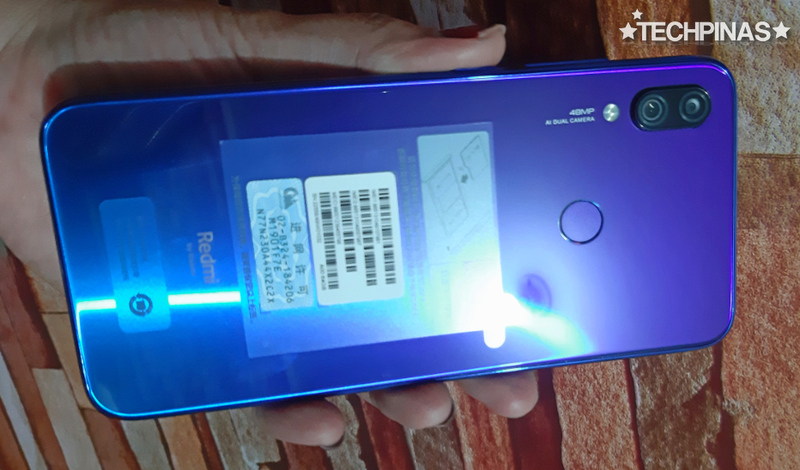 Xiaomi Redmi Note 7's volume rocker and power button are both located on the right side, which means that you can easily click on them using your thumb if you're right-handed or your pointer finger is your left-handed. 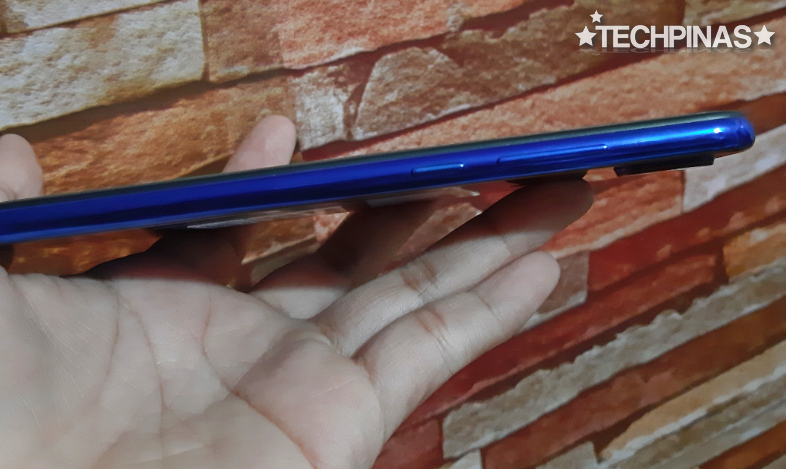 On the left side, you will find the phone's SIM card tray with one slot for a nanoSIM card and another slot that can take in both a nanoSIM card or a microSD memory card for expanding storage. 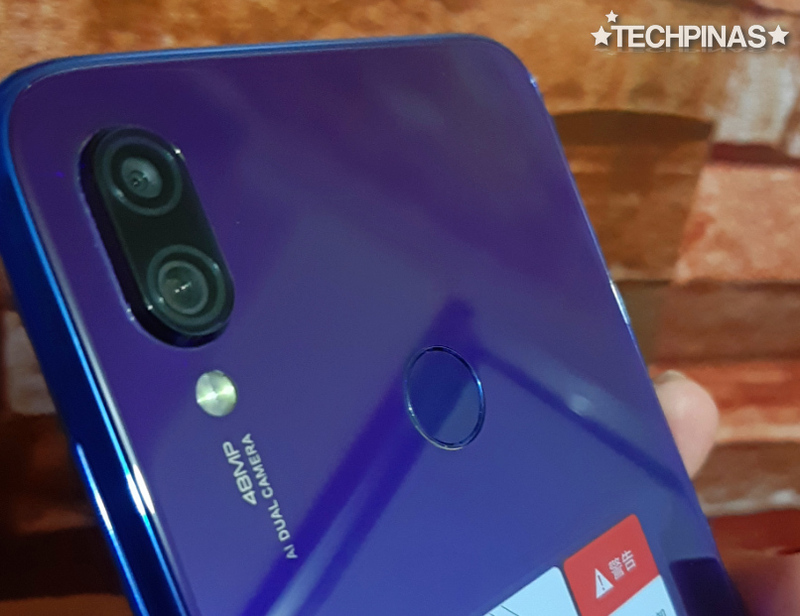 At the back, Xiaomi Redmi Note 7 sports a Dual Camera Module, which consists of a 48 MegaPixel primary shooter plus a 5 MegaPixel Depth Sensor. This set-up enables Bokeh or shallow depth of field effect in Portraits in which the background of the subject is beautifully blurred. The primary cam integrates a FullHD video recorder with Gyro-EIS for steady looking clips even without using a gimbal. This is particularly useful for vloggers and those who are just starting to learn mobile video creation. Below the cameras, there's a Fingerprint Scanner, which adds a veritable layer of security and privacy for the user. This serves as a good protection against other people who like checking messages and photos without consent. 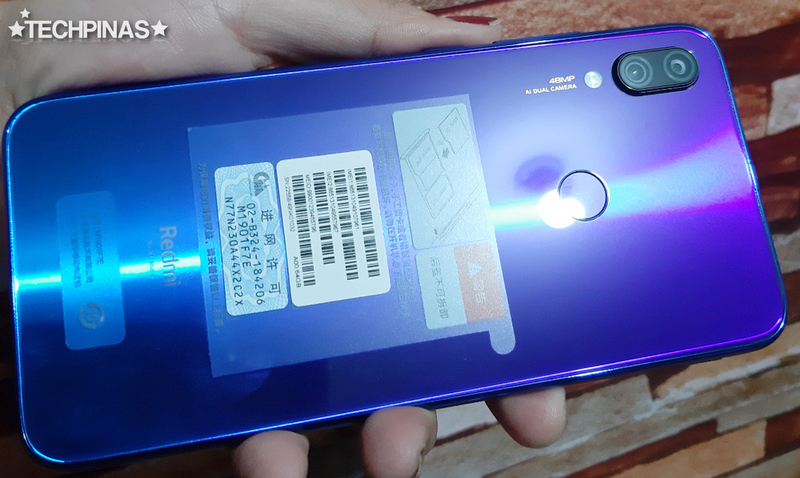 Under the hood, Xiaomi Redmi Note 7 runs its MIUI 10 skinned Android 9.0 Pie operating system with a 14nm Octa Core Qualcomm Snapdragon 660 chipset that delivers decent gaming performance, long uptime because of its energy efficiency, and AI features for the front and rear cameras. The Note7 comes in 3GB, 4GB, and 6GB RAM options and 32GB or 64GB for the internal storage. 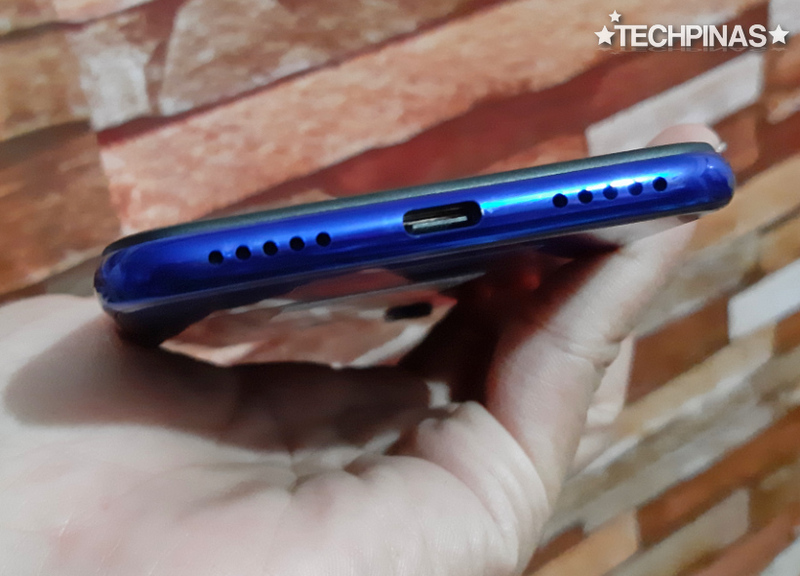 One of the most useful unique features of this smartphone would have to be its very large 5,000 mAh battery pack, which delivers extended uptime - often beyond a whole day - which really benefits users who don't like carrying a powerbank and are always on the road, away from an electrical outlet. Having such a big battery, Note7 can also be used to charge other devices through its USB Type C port through reverse charging technology. For me, this is another reason why this device can be a good secondary phone for those who already have a flagship-level handset. 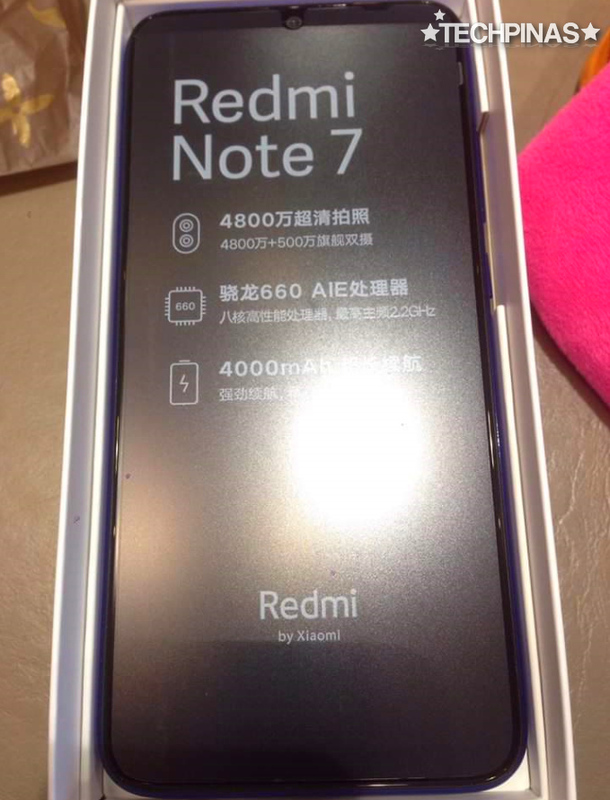 I asked Anette, "What's your favorite feature of your Xiaomi Redmi Note 7?" She answered, "I love the design, Mark. The Blue version is eye-catching and beautiful. 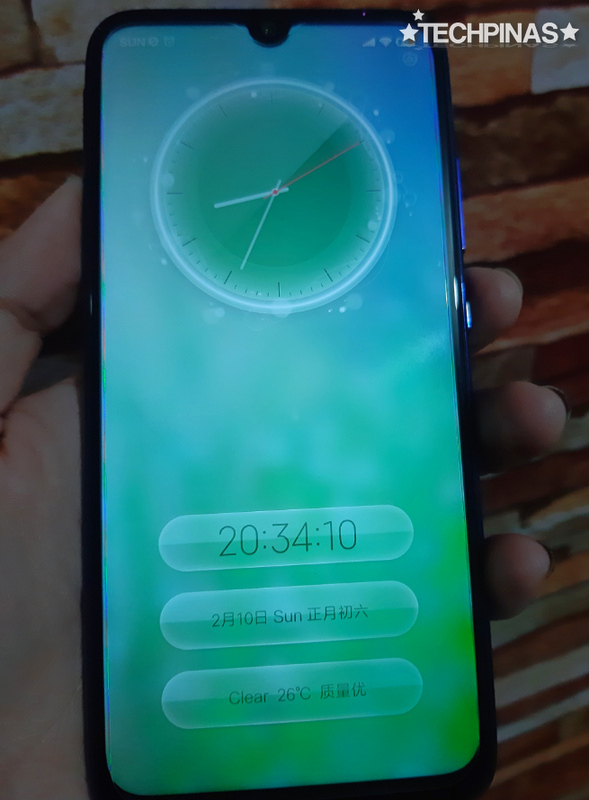 The screen is also super big and the battery life is extra long. The selfie and rear cameras also give me clear and brilliant photos. I love my new smartphone. I don't regret buying this Xiaomi model. It gave me great value for my money"